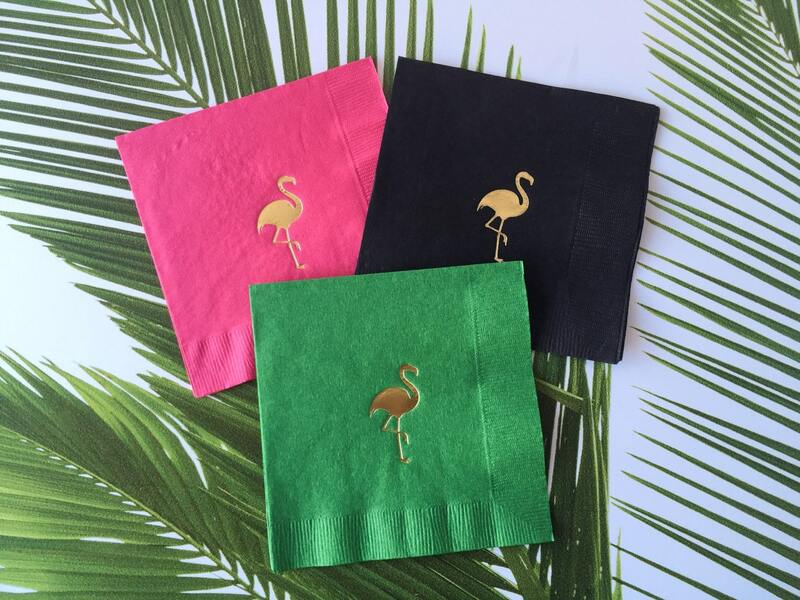 Flamingo cocktail Napkins, Foil Stamped, 3 Ply, 20 CT.
How fun are these cocktail napkins!! From the Roc Shop's summer line, Let's Get Tropical!! 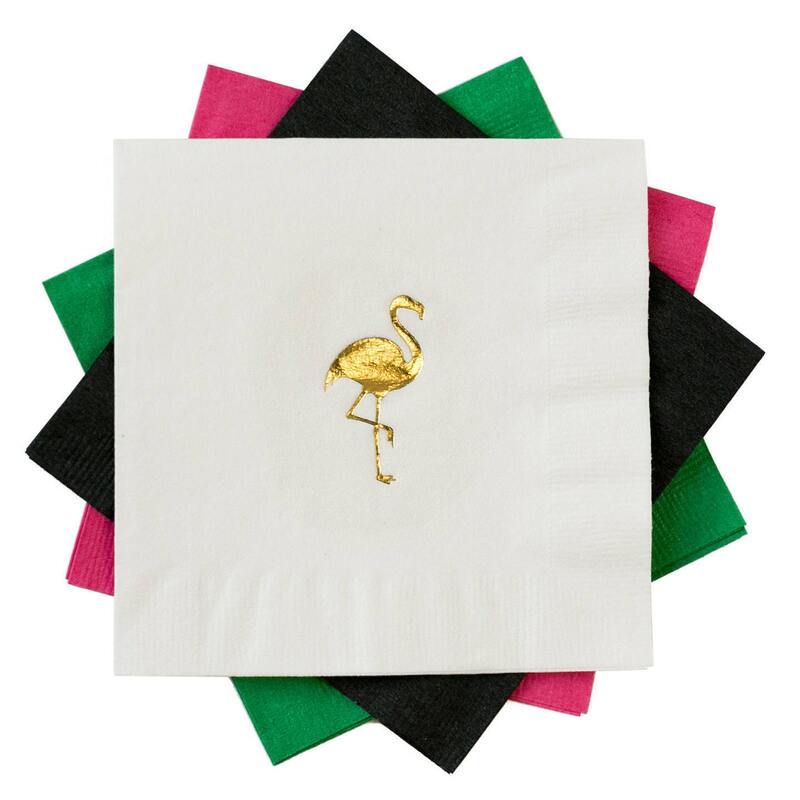 Liven up your summer party with these cute gold flamingos. Choose from 4 color options; black, white, hot pink, and Kelly green. Orders ship out within 2-3 business days, unless items are backordered. In the case of a shipment delay, you will be notified within 24 hours of your purchase. 100% MADE IN THE USA; San Diego. I'm crazy about Flamingos. Purchased the black & gold, looks great! 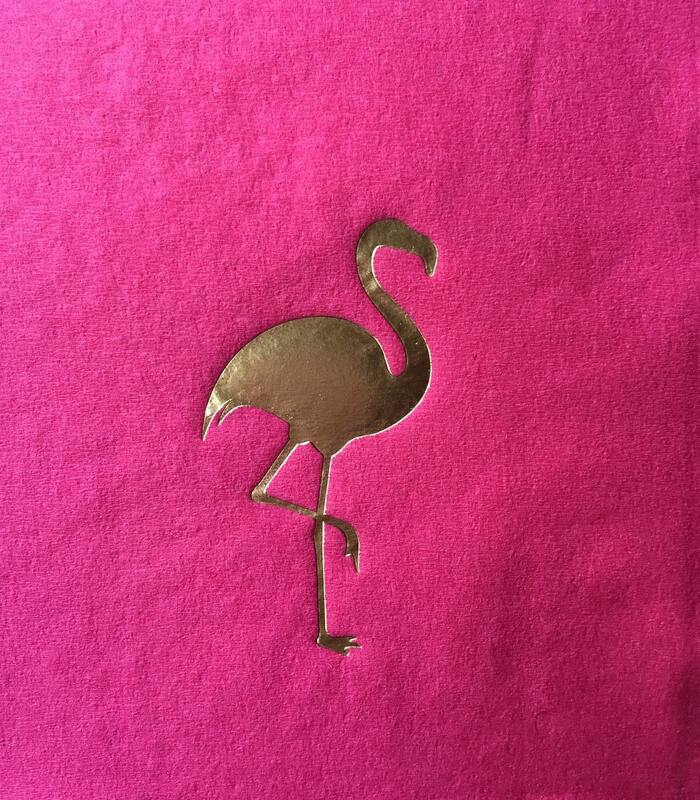 Darling napkins, great service! Thank you!